I’m thrilled to announce that The Scientist Videographer eBook is now available in the iTunes Store for $14.99. If you are interested in expanding your communication toolbox to include video, then this is the book for you. In this electronic guidebook, you will learn how to plan, shoot, edit, and publish a professional and effective science video. For more information, see the book’s media trailer or check out the eBook page on this website. Note that this eBook is designed to be read on an iPad. Although it can also be downloaded to a Mac computer (running OSX10.9 and with iBooks 1.0 or higher), some of the interactive content may not work. Future editions will be available for other reading devices—stay tuned. Do You Ever Wish You Could Just Shed Your Skin? Or watch a video showing how it’s done? In previous posts, I’ve talked about how time-lapse videos are compelling and also how to make them with your Smartphone. There are so many phenomena that cannot be appreciated except with time-lapse techniques. Here are two more examples of time-lapse movies, which are not only fun to watch but also contribute to a better understanding of the processes being filmed. The first shows a crab molting. Apparently, it takes a few days for the entire process, which makes it a good candidate for the time-lapse approach. The second video is of the patterns that sand bubbler crabs make. I really like this one. I’ve seen these patterns along sandy shorelines and knew they were caused by a burrowing organism, but the process is so slow that the casual observer rarely takes notice. I particularly like how the video creator has compiled a variety of views shot from different perspectives of the process. Can Video Improve Reproducibility of Experiments? Most of us who are research scientists have had the experience of trying to reproduce another investigator’s experiment and failing. And if we admit it, we also sometimes have difficulty reproducing our own experiments (but rarely report it). 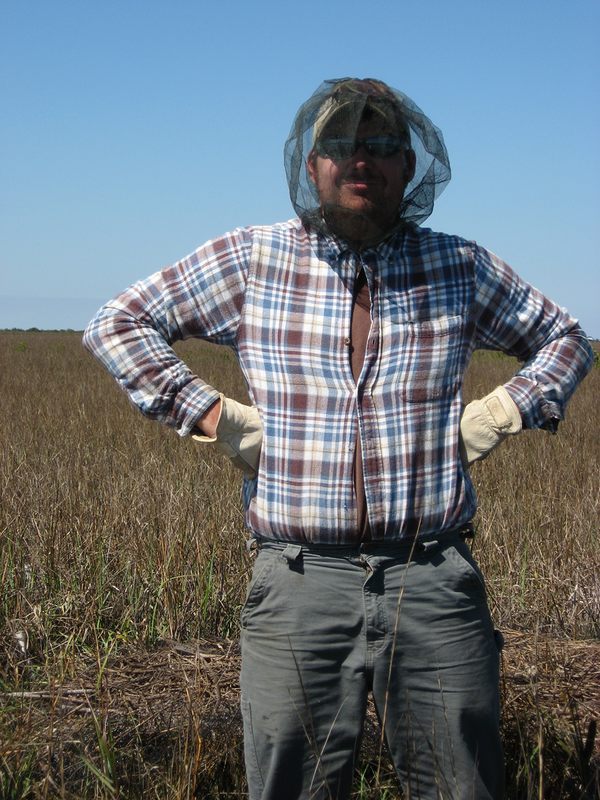 In the biological sciences and especially in my field, ecology, reproducing the results of a study is difficult, if not impossible, due to the fact that we can rarely duplicate the precise conditions of the original experiment. Such is especially true of field experiments and even experiments conducted in a “controlled environment” such as a greenhouse. At least that’s always been my explanation for this non-reproducibility phenomenon. Recently, there have been several news articles and blog posts about reproducibility of published scientific experiments. For example, two studies run by the pharmaceutical companies, Amgen and Bayer, showed that 70 to 90% of cancer studies published by academic scientists in reputable journals were not readily reproduced by other scientists assigned to repeat the experiments (see Reuters story for a summary and links). Those numbers are hard to believe, but such observations have prompted investigations into why so few studies are readily reproduced. A recent paper proposed that one reason for the lack of reproducibility is weak statistical tests. Using a new method, Valen Johnson (Texas A & M) compared the strength of two types of statistical tests (read about the details in Nature News) and concluded that 17 to 25% of studies that use the common P-value of 0.05 may yield false results. Johnson suggests that the 0.05 cutoff, leading to false positive conclusions, may be the main reason for why subsequent experiments fail to reproduce the findings of the original study. In contrast, studies that use a P-value of 0.005 rarely fail to replicate. I’ve not read that paper but imagine that the news about the P-value of 0.05 will throw a lot of researchers into a tizzy. Another hypothesis for non-reproducibility is offered by Moshe Pritsker (CEO of JoVE, the Journal of Visualized Experiments): lack of sufficiently detailed methods. His solution is for researchers to use video to publish scientific results (see his opinion piece in The Scientist). That is what JoVE publishes: peer-reviewed videos that are created from text-based research papers. The idea is that by showing experimental procedures and results in video rather than in (or in addition to) a written description, other scientists can more readily duplicate an experiment and confirm its findings. 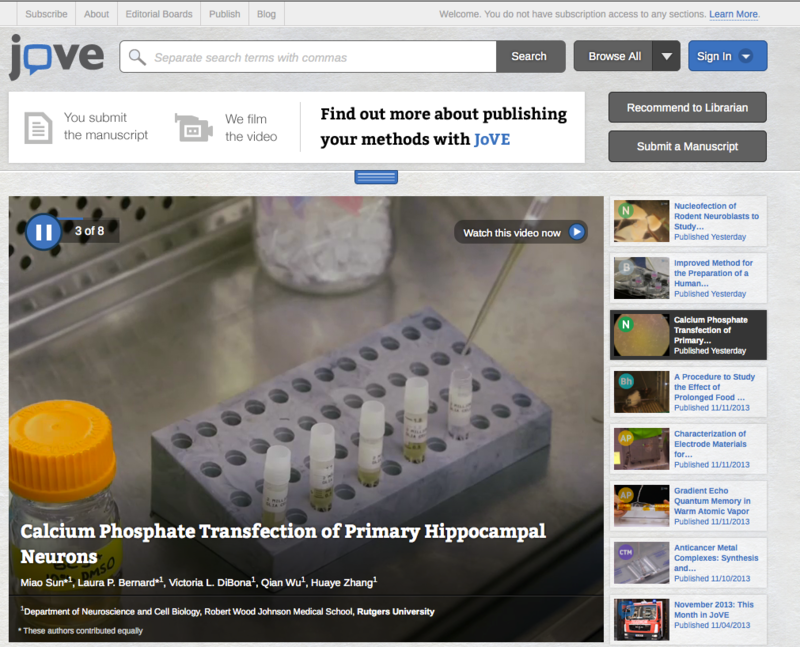 Although JoVE is the only journal of its type, several other journals accept video as supplemental material, and such visual depictions of methods and experimental protocols should help to standardize techniques. My own experience is that even very detailed written descriptions of methods are not sufficient to allow someone else to replicate the study. Many important details are left out of the written description but that are readily visible in a video. 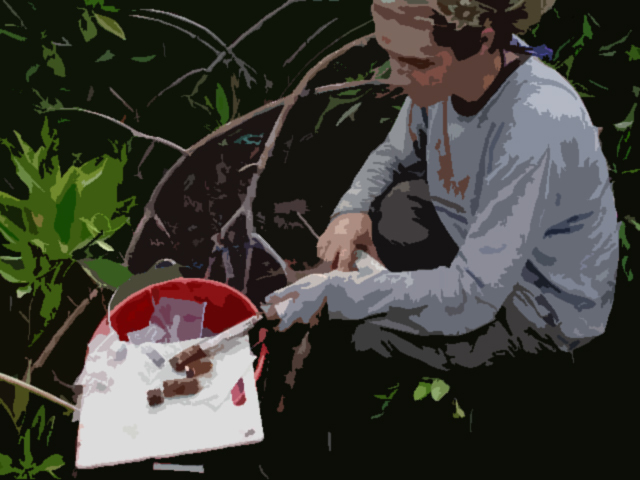 How did the researcher position the sampling instrument? How hard or gently did they apply it? What did the field study site actually look like? I’m obviously a big fan of video and its use in science. However, I don’t think video will necessarily eliminate the problem of non-reproducibility or that it can substitute for a well-written description. If you watch some of the free-access videos at JoVE, you see that the videos are really video abstracts (audio-visual summaries of the work) and that the text-based paper containing all the usual details and extended discussion of the results is published alongside the video. Both are necessary, in other words, for a full understanding of what was done, how it was done, what was found, and what it means. My view is that video can be a critical element in research publications, but should be complimentary to the text in the same way graphs, diagrams, conceptual models, photographs, and other visualizations are in a more traditional article. That’s not to say that research cannot be reported entirely through the medium of video. Some types of research may lend themselves well to a video-type publication: new methods/standard protocols, descriptions of new species (or observed behaviors), and physical or biological phenomena that cannot be completely described in words. Whether video will affect reproducibility of studies must await further data. In the meantime, I think a better reason to use video is to more clearly depict methods and results and provide visual evidence of observed phenomena. In the past, video was usually out of the question for the average researcher because of the expense and skills required. Today, with inexpensive digital recording devices and simple but powerful editing software, anyone can create a reasonably good video to illustrate a method or other aspect of a research project. In the next post, I’ll describe my own experience with respect to video and scientific methods. If you are a scientist or graduate student, it’s likely that you agree with the sentiment expressed in the title of this post. What’s also likely is that you are totally wrong. What other people find most interesting and what will hold their attention is a story—what motivated you to study armadillo penises, how you tried to impress your graduate advisor and almost destroyed his lab, or that a biology laboratory has an intricate social dynamic that eclipses its research complexities. You can hear those stories and others at The Story Collider, which is a collection of podcasts by scientists, science journalists, and other interesting people, who talk about how science has affected them. The effort was co-founded by Ben Lillie and Brian Wecht. Theirs is part of a larger effort to help scientists connect with a larger audience beyond their peers. I’ve talked about this topic previously because it is a key concept in making videos about science. When someone trained in science tries to explain science to others, they often make the mistake of focusing on facts, data, and statistics and forget that what grabs people’s attention and holds it is a story. The take-home message you will get from listening to a few of these podcasts is that it’s possible to get those science facts across by telling a story about how your work made a difference in someone’s life—yours or someone else’s. Another thing these podcasts do that many science videos fail to do is they make scientists seem likeable, interesting, and even funny. That is an important accomplishment. People won’t listen to your message or watch your video if they don’t like you. Telling a story makes a scientist sound human. We can’t always tell a personal story, of course. Sometimes it just won’t work for a particular video project. Also, some of us may be constrained by our organizations as to the format, formality, and content of our videos. However, storytelling techniques can help us craft better science videos. I’ll talk more about that in later posts. For now, try listening to a few podcasts at the Story Collider to better understand how stories can make a science message come alive. In the TEDMED 2013 video I’m embedding below, you’ll hear from Ben Lillie (co-founder and Director) and Erin Barker (senior producer) of Story Collider who talk about storytelling and why it’s so important in getting across a message about science. A few of you have asked about the status of the eBook. I am finished with the writing and formatting and will submit it shortly to the iBookstore. I am hoping it will be available before the end of the year. 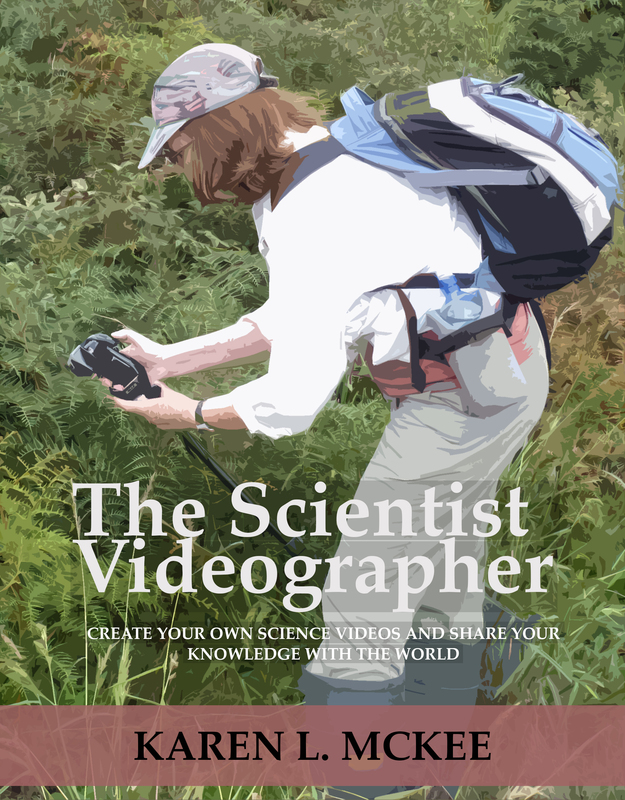 This electronic guidebook is a detailed how-to for scientists, science educators, and students who wish to make their own videos. Read more about it on this page (or select eBook in the top navigation bar).